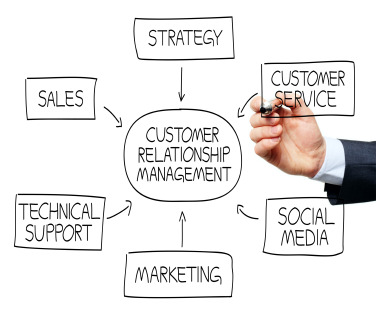 Ed the Entrepreneur and the lifecycle of business success with CRM. Small to mid-sized businesses often benefit dramatically when they initiate or deepen a CRM philosophy. It accelerates success. Witness the story of Ed the Entrepreneur. Let’s start at the beginning. . .
Once upon a time a young man named Ed had a great idea for a product. No one was making quality, hand-crafted tractors and farm equipment. He knew country kids would love them. So would urbanized grown-up who longed to reconnect to a wonderful country heritage that represented family closeness and a simpler life. His wooden toy tractor prototypes were nearly indestructible. They would withstand anything young children could dish out. Ed grabbed this business opportunity and launched Wooden Toys. At first, it was just Ed the Entrepreneur, his wife Carolina, and teenaged son Dave who built the Wooden model farm tractors. They started attending all the local events – the county fair, farmers’ markets, summer community festivals – and showing off their polished, working model tractors. This and word-of-mouth marketing was all they needed to connect to more and more of their neighbors. They used 3x5 index cards to store customer names and contact information and a ledger pad for their accounting. But as the delight of Wooden Toy owners spread farther and wider and their business grew, their business office operations became unworkable. So they bought a computer and accounting software. They learned to use an Excel spreadsheet for their customer information. That worked fine for the first few years. Then son Dave got married and his wife, April, joined the business. Wooden Toys needed to expand to support both families. Dave, now the key sales person, became a road warrior. He attended trade shows, gave demonstrations, and brought in lots of new business. Mom and April managed the office, which now meant more computers, a server, and a local area network set up by a local IT shop. By now they were using Microsoft Outlook for email and basic contact management. Business kept growing and someone suggested they create a website that could eventually support an online shopping cart so prospective customers could order their very own Wooden tractor, customized with the hand-carved signature of the young new owner. At a trade show, Dave came to the conclusion that he needed something better to manage all the contact and company information, their various communications, and notes of conversations. They had upgraded their PCs to Windows 7, their accounting software to the latest version of QuickBooks. But Microsoft Outlook was not keeping pace and he had lost a few sales because of holes in customer knowledge. He met anther sales person who recommended Sage ACT! contact management and even opened up his laptop and showed him what it could do. Dave called Ed that night, and Ed ordered 5 copies of Sage ACT! from the same local IT shop before Dave even got home. Having implemented ACT! for other clients. Bill, the IT shop owner, was able to help Dave import all their Microsoft Outlook and QuickBooks contacts into Sage ACT!. And that’s how Wooden Toys took the next steps toward more business success, powered by CRM. Where is your business on its journey to success? Can you identify with Ed and his family? Would the story of your experience light the way for another entrepreneur? We’d love to hear it and pass it on. What happened next to Ed the Entrepreneur’s business. . .